Welcome to Driiv Autosport, you've found our Diablo Elite Wheels page. Shop with confidence, you're covered by our 100% customer satisfaction guarantee! 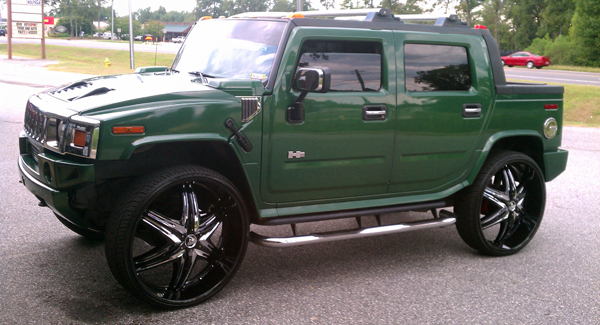 2006 Hummer H2 SUT with Diablo Elite G2 32" Black and Chrome wheels and Diablo Tires.